ACME & Affiliates Shoppers – Score a $5 Digital Gift Card When You Spend $20 on Unilever Personal Care Products + $5 Bonus For First 1,000! Attention Albertsons, Carrs, Jewel-Osco, Pavilions, Randalls, Safeway, Tom Thumb, Vons, Acme and Shaws shoppers! Now through 11/30/18, when you spend $20 on participating Unilever Personal Care brands, you’ll receive a $5 digital reward of your choice. You have the option of choosing between a Visa Rewards virtual gift card or a FandangoNOW reward. This offer gets even better! Be one of the first 1,000 people to enter your receipt and you will get a $5 gift card to your participating store (while supplies last). So that’s getting $10 back for spending $20 on Unilever personal care products (before coupons). 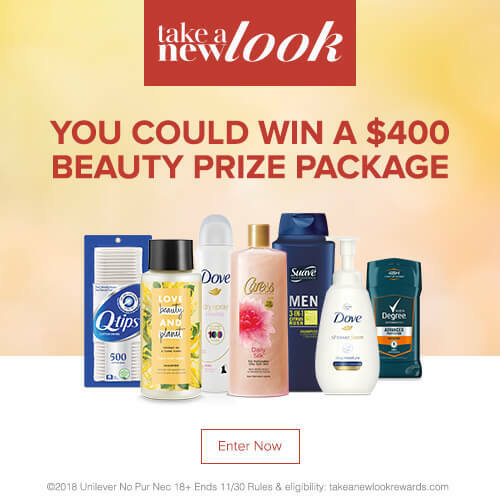 If this wasn’t enough, one weekly winner will be chosen at random for 13 weeks and will receive a $150 gift card to their participating store and a $250 gift card for a fall beauty or fashion shopping spree. Totally awesome! I know you all have your own beauty necessities that make it possible to flaunt your style. 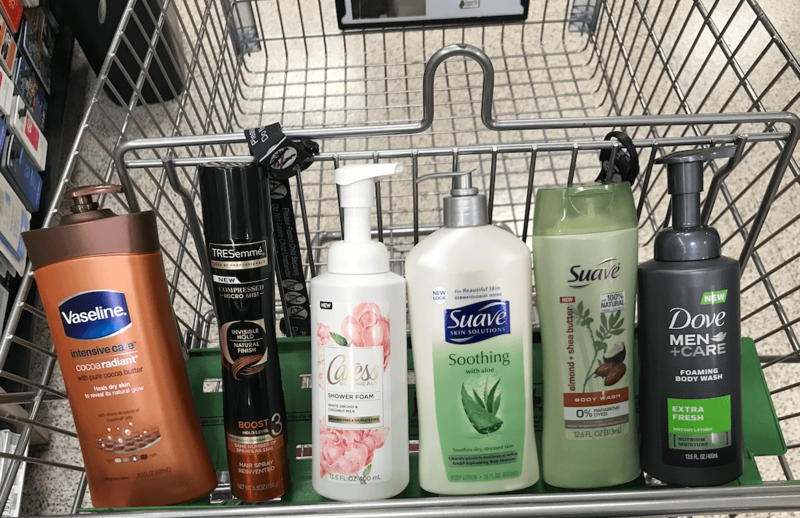 With fall right around the corner, it’s time to refresh your routine with a new batch of Unilever must-haves at your local ACME and affiliate stores, at a fraction of the cost. 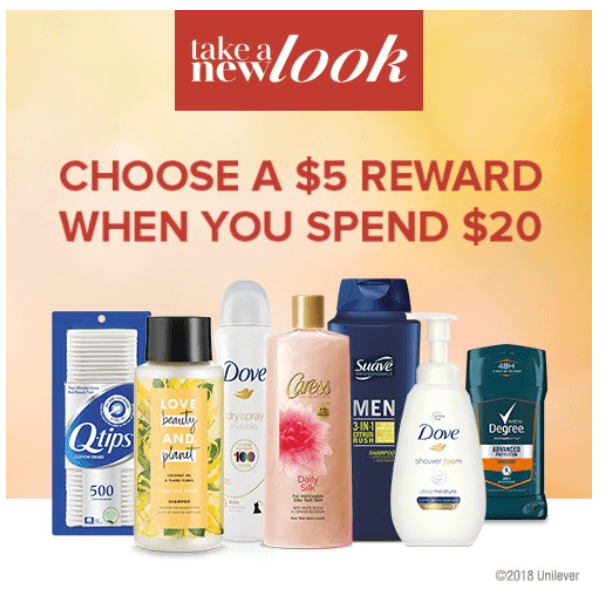 Take a New Look in store – buy $20 (excluding tax) worth of Unilever beauty and personal care products in one or multiple transactions at Albertsons, Carrs, Jewel-Osco, Pavilions, Randalls, Safeway, Tom Thumb, Vons, Acme and Shaws between 9/1/18 and 11/30/18. Retain your receipt. Snap a photo of your entire receipt showing the qualifying item(s) starred. Visit here either on your mobile device or your desktop computer, create an account or log into your existing account and submit the image of your full receipt by 11/30/18. Submissions are reviewed within 48 hours. Once your submission has been validated, you will receive an email with a link back to your account where you will be able to choose your reward. 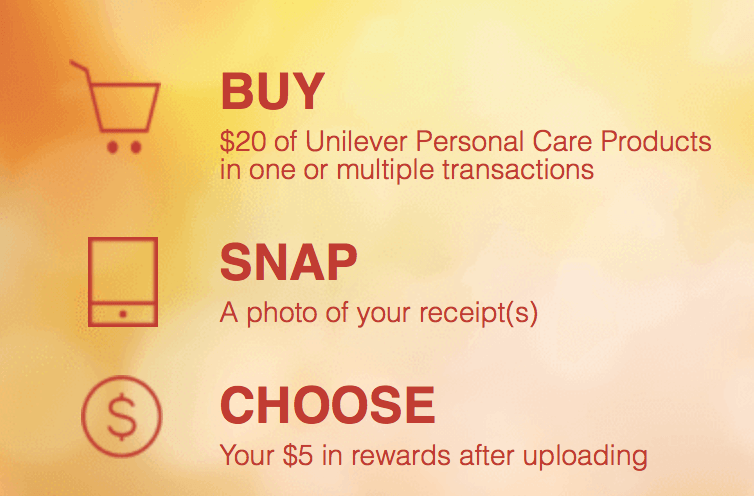 Submit Your Receipts – Spend $20 on Unilever Personal Care Products & Earn $5 Digital Reward + $5 Bonus for First 1,000! This is a Sponsored post written by LRWC on behalf of Mirum. All content and opinions are 100% our own. Target Shoppers – $0.40 Yoplait Yogurt Cups!